Elwood Higdem has a very important responsibility this year: transporting this year’s capitol Christmas tree from it’s harvesting point in Minnesota across the country to the nation’s capital: Washington D.C.
Higdem won’t be making the journey alone. His wife, Joan, is accompanying him on his trip. 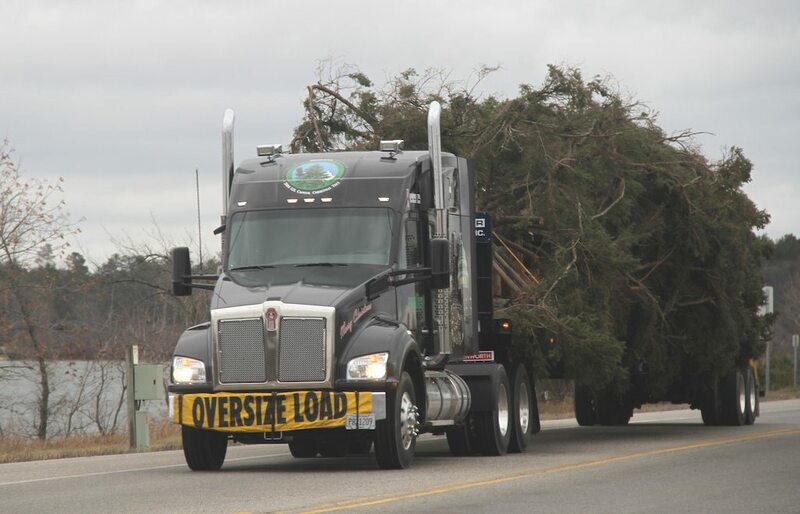 Higdem works for Willie Transport, which is the carrier contacted this year to haul the tree. 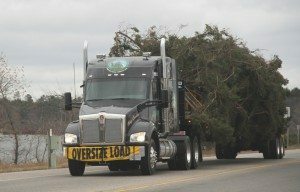 Higdem is transporting the 75-foot white spruce in a custom Kenworth T880 wrapped in special Capital Christmas tree graphics. The tree will be lit Nov. 20 by Speaker of the House John Boehner. New technology in trucking is often put towards improving equipment and process. Now, a new iPhone app is looking to put new technology into the hands, or should we say iPhones, of drivers. 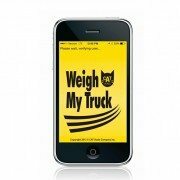 Cat Scale Co. has announced that its popular Weigh My Truck app is now available on iPhone and iPad. The app allows drivers to weigh their truck, have weights displayed on their smartphone, and pay for the transaction within the app via PayPal, all without ever having to leave their vehicle. Using the app is simple: drivers create an account that stores their basic information and email preferences, along with a record of past weigh transactions. The app also includes the ability to email a PDF copy scale ticket or weight information as a text file to up to 5 email addresses that the driver specifies. In the event that a driver still needs a hard copy scale ticket, they can opt to pick up a printed CAT scale ticket at the fuel desk after weighing in with the Weigh My Truck app. As of this posting, Weight My Truck is now available on the Google Play Store as well as the Apple App Store. This content-rich, but ad-heavy blog offers a variety of posts regarding new trucking technology, news, equipment, fleet management, safety and compliance, driving, and maintenance. They offer award-winning articles written for executives of fleets from five trucks to thousands. They also offer a variety of content, including videos. 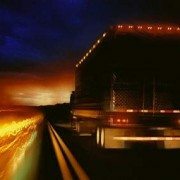 This blog is exactly what it sounds like: a blog written by truckers, for truckers. 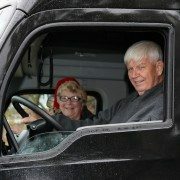 This trucking life blog is updated with questions and posts about trucking lifestyle, trucking jobs, trucking schools, relationship challenges and other truck driving related information. 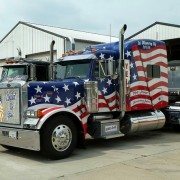 The nice thing about this blog is there aren’t a ton of ads or distractions, just information about trucking, the industry, and real-life trucking stories. This “Newspaper of Trucking and Freight Transportation” feature up-to-date news on fuel prices, classifieds, news, and an excellent list of the Top 100 For-Hire Carriers. They also feature webinars and video education, as well as an updated calendar of industry-events. Overdrive features multiple blogs by industry experts along with a TON of content related to life as a trucker, customer rigs, the trucking industry, equipment and regulations. Checking out their “Editor’s Picks” articles is a good way to start. Their “Gear” section is also great for trucking looking to check out the latest trucking tech and equipment. Of course we have to rate our blog #1! We feature the latest trucking news, life-as-a-trucker pieces, CDL Info, and just plain fun articles to read! Check out our post on the 5 Classic Movies Featuring Truckers. We also keep you updated with the latest news about hiring spikes, employer benefits, and compensation for truckers. Did you like this article? Share this with your friends! In a significant increase, the trucking industry added 3,900 jobs in October 2014. Along with the jobs increase, the unemployment rate decreased to 5.8%, declining for the third consecutive month according to a Nov. 7th report from the Labor Department. This increase mirrors the recovery of the U.S. domestic economy, with an overall increase of 214,000 jobs. The unemployment rate has also dropped to the lowest level in six years, according to Bloomberg News. This is great news for truckers earning their CDLs, as the trucking industry is not only adding jobs, but also many employers are increasing driver pay and benefits packages to entice new drivers. The trucking industry also added 3,800 jobs in September 2014. Trucking Companies are Upping Driver Pay to Attract New Drivers (Again). 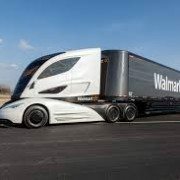 Wal-Mart, one of the countries’ largest retailer, has begun releasing radio ads in hopes of attracting drivers with a new compensation structure: Wal-Mart is offering qualified drivers with CDLs, like those obtainable through Progressive Truck Driving School, a $76,000 salary plus benefits. According to a Wal-Mart spokesperson, the company currently has 7,200 drivers, but needs even more. According to The American Trucking Associations, the US currently has 750,000 “for hire” drivers but needs at least 30,000 more right now. They estimate that the industry must hire 100,000 drivers every year for 10 years if it hopes to keep up with retirements, turnover and industry growth. This will no doubt lead to increased compensation packages and benefits to attract new drivers. Average annual pay for drivers was under $50,000 last year, up roughly 28 percent from around $39,000 in 2000, according to data from ATA and the U.S. Bureau of Labor Statistics. With Wal-Mart offering compensation of $70,000+, it is estimated that other companies will join suit to remain competitive, so increases in salary for 2015 are expected. With pay on the rise, now is a great time to obtain your Commercial Driver’s License (CDL) and be on your way to a lucrative career in a fast-growing industry. Contact us to talk to an admissions advisor about earning your CDL: (773) 736-5522.
https://cdltruck.com/wp-content/uploads/2014/11/walmart-truck.jpg 183 275 Lucy Kokor https://cdltruck.com/wp-content/uploads/2014/08/Progressive-Truck-School-Blue-Mid.png Lucy Kokor2014-11-05 14:28:372014-11-05 14:28:38Trucking Companies are Upping Driver Pay to Attract New Drivers (Again).